It was Friday the 13th, this past April, when 28 decks of playing cards left a manufacturing plant in Kansas City allegedly carrying a simple, fateful flaw. That minute mistake in Missouri grew into a giant mess more than 1,000 miles away at the Golden Nugget, one of Atlantic City’s newest casinos. The saga includes almost a million bucks in uncashed casino chips, accusations of racism and allegations that patrons were held against their will by some clandestine security force. At one point, one of the patrons was allegedly put in a headlock at a noodle bar and dragged away. In an unprecedented play, the casino filed a lawsuit to recoup money it lost to gamblers who thought they’d hit the jackpot. After a contentious hearing Friday in Atlantic City, the Texas billionaire who owns the Golden Nugget appeared to have had a change of heart, and the whole bizarre story had a happy ending. But a lawyer who represents nine defendants sued by the Golden Nugget says that Friday wasn’t what it seemed. “It’s really almost too outrageous to believe it all,” said Alan Feldman, the defense attorney. The decks from Gemaco, the Kansas City-based playing-card manufacturer, were dealt on April 30 at 7:42 p.m. during mini-baccarat game No. 802. According to the Golden Nugget’s lawsuit, casino employees quickly realized something was wrong, at least for the casino. It was as if lady luck had changed her fickle ways and graced the gamblers at game 802, hand after hand, for two hours and 36 minutes. The players won a whopping 41 straight hands and the casino, according to the lawsuit, figured a “criminal conspiracy of swindling and cheating was under way.” Floor managers, pit bosses and surveillance teams descended upon the table. No one at the Nugget could decipher why the players were so lucky, though, and the casino let the game go on till 10:18 p.m. When it ended, the house had lost a little more than $1.5 million. There was no complex scheme, but it wasn’t lady luck, either. Someone in Kansas City allegedly had forgotten to turn on the automatic shuffler before the cards got shipped out. Since the cards were never shuffled at the plant – the casino doesn’t shuffle them again – the same patterns kept repeating in game 802. The players noticed, kept on betting and upped their wagers. “They saw a pattern and didn’t know how long it would last,” said Feldman, whose clients are Asian and speak little or no English. The casino cashed in chips for nine players totaling $558,900, and according to the lawsuit, additional players are still holding chips valued at $977,800. The Golden Nugget is suing Gemaco to reimburse their loss and potential losses if the players cash the chips. An attorney for Gemaco acknowledged the error at Friday’s hearing. But the Golden Nugget also sued the 14 people they claim played game 802, trying to get back all the outstanding chips and the cash they paid out. “The gamblers unlawfully took advantage of the Golden Nugget when they caught on to the pattern and increased their bets from as little as $10 to $5,000 and by passing money to fellow gamblers in order to place bets in excess of posted betting limits,” Karen Lew, the Golden Nugget’s casino manager, said in a statement before the hearing. Unshuffled decks also caused problems at the Taj Mahal in December, also during a mini-baccarat game. According to the Associated Press, that incident led to a $91,000 fine against the casino and the firing of nine people. It’s unclear what happened with any winnings or to the players in those games; a spokesman for the Taj declined to comment. The Golden Nugget, according to Feldman and attorneys representing other defendants there, allegedly handled things much differently before they realized the problem began in the Gemaco factory. The day after the game, Feldman claimed, many of his clients were “rounded up” – from the casino floor, from their rooms, even from the noodle bar – and taken to a secure room by unidentified officers to be questioned. The detainees weren’t provided with interpreters, were refused food and water and had their personal belongings taken from them, he alleged. One of them was a cancer patient who played mini-baccarat but hadn’t been there the previous night. She was taken in for questioning and not allowed to have her medicine, Feldman said. “Our clients told us stories we didn’t really believe at first,” he said. They were all eventually allowed to leave with their chips and winnings and got hit with the lawsuit in July. Though it’s unclear who questioned the defendants the following day, Lew, in her statement, said the Division of Gaming Enforcement “subsequently brought in law enforcement to commence an investigation.” The Division of Gaming Enforcement declined to comment, citing the ongoing litigation. 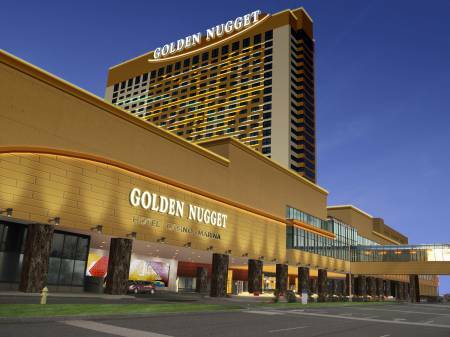 The Golden Nugget has bristled at the allegations, claiming that a number of the gamblers had previously threatened to “defame” the casino if their chips were not cashed. “The countersuit has no merit and is nothing more than a ploy by the gamblers and their lawyers to tarnish the Golden Nugget’s reputation in order to gain an economic advantage in the lawsuit. We will not let this happen,” Lew said. On Friday, Judge James Isman ordered the casino to cash in the chips, drawing an angry reaction from one casino official who called the decision “an ambush.” Hours later at a news conference, Golden Nugget owner Tilman Fertitta said that he would not appeal the judge’s decision and would cash out the remaining chips. 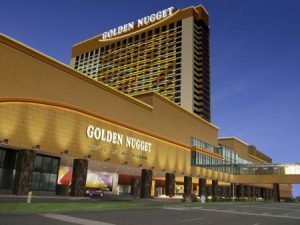 “Even though we can appeal the court’s ruling and take full advantage of the appellate process and legal system, and tie the matter up in litigation for years, the Golden Nugget is a people business and is prepared to allow the gamblers – most of whom continue to gamble at Golden Nugget – to realize the gambler’s dream of beating the house,” Fertitta said. But Feldman said that the offer to cash their chips has a stipulation: The players must sign a release form giving up the right to pursue any other claims, including for their alleged detention. His clients’ uncashed chips remain in a safe in Philadelphia. “He came off sounding like a great benefactor, but a judge had already ordered the casino to cash the chips in,” Feldman said of Fertitta’s offer. The Golden Nugget, like many casinos in Atlantic City, has tried to draw in the Asian community with specialized gaming areas, entertainers and restaurants. According to the Inquirer, Asian gamblers made up 15 to 20 percent of the market in Atlantic City in 2007 and many play table games more than slots. But Evan Y. Liu, an attorney with Feldman Shepherd, said that the Golden Nugget’s actions have already hurt its name in the Asian community.